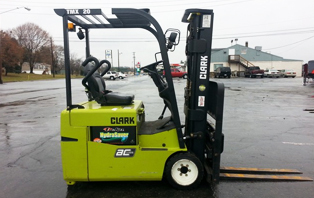 Used Forklifts & Lift Trucks For Sale | KMH Systems, Inc. 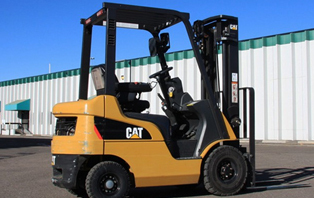 If you’re looking for a quality used lift truck, now is the time to buy one from KMH Systems. We have a large selection of trade-in’s and lease retirements which allows us to offer some amazing prices! 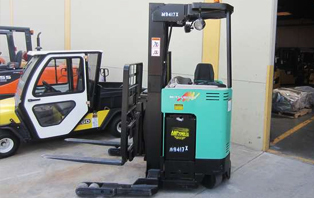 The most commonly used lift truck in the U.S. Primarily used indoors in warehouse type operations, good for use on smooth surfaces only. Not well suited for outdoor use. 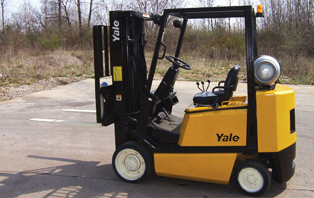 Smaller in size when compared to Pneumatic Tire unit of equal capacity. Primarily used indoors on smooth surfaces. Ground clearance same as Cushion Tire lift trucks. Less horsepower than gas powered units. Not well suited for outdoor use. Good in areas where fumes may be harmful such as food operations and areas with little or no ventilation. 3-Wheel units good for Ultra-compact design. Charger required as with all electric powered units. Primarily used outdoors, can be used indoors if space allows. Better ground clearance than Cushion Tire, softer ride, but chassis. Larger in size when compared to Cushion Tire unit of equal capacity. Sometimes called a “Yard Truck”. 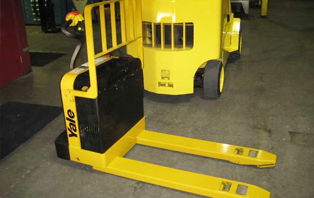 Primarily used indoors, Electric Walkies are highly versatile low-lift pallet and or skid handlers. These trucks are very popular in grocery warehouses. Tires are hard and fork size is usually 27″ wide x 48″ long. Charger required as with all electric powered units.